On a beautiful site overlooking the Croatan Sound, the North Carolina Aquarium on Roanoke Island is one of three state-operated aquariums on the North Carolina coast. 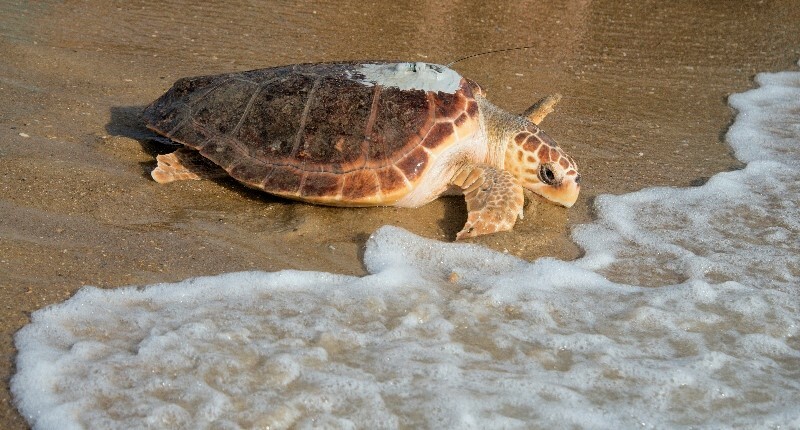 The Aquarium on Roanoke Island features the 285,000-gallon Graveyard of the Atlantic saltwater tank exhibit, interactive exhibits, two touch tanks, a theater and Sea Turtle Rescue,” where children become pretend “veterinarians” as they diagnose and treat a toy sea turtle! See our newest exhibit, the Sea Turtle Assistance and Rehabilitation Center (STAR), opening summer of 2014. 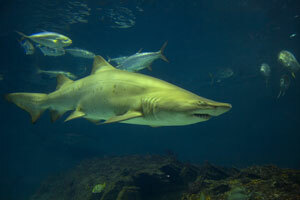 Explore the NC Aquarium saltwater habitats from grass flats to Gulf Stream waters. 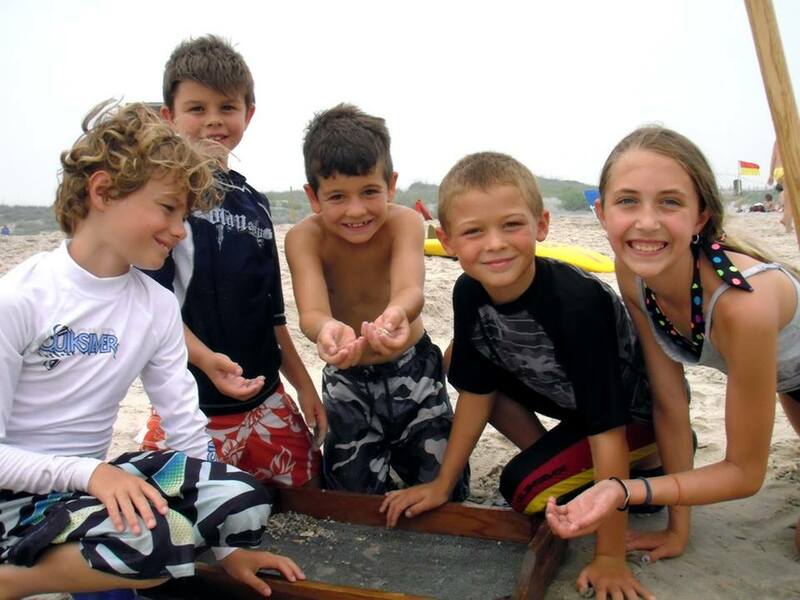 Explore saltwater habitats from grass flats to Gulf Stream waters. 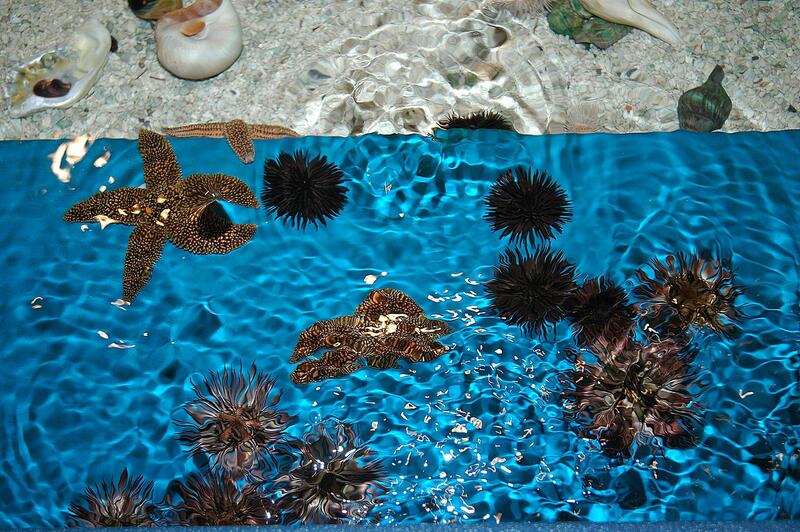 Gently stroke a stingray or a hermit crab at the touch tanks. Watch hundreds of fishes flash by the 35-foot long viewing window of the 285,000-gallon “Graveyard of the Atlantic” tank. Sharks and other fishes cruise by only inches away. History buffs will marvel at the one-third-scale replica of the USS Monitor. See Oceans Revealed: Power of the Planet, and learn how the earth affects our lives with real time imagery on a 6’ sphere. Be sure to visit the N.C. Aquariums’ newest Outer Banks attraction, Jennette’s Pier at Nags Head. You’ll find information about it in our Nags Head Attractions section or by visiting www.jennettespier.net. 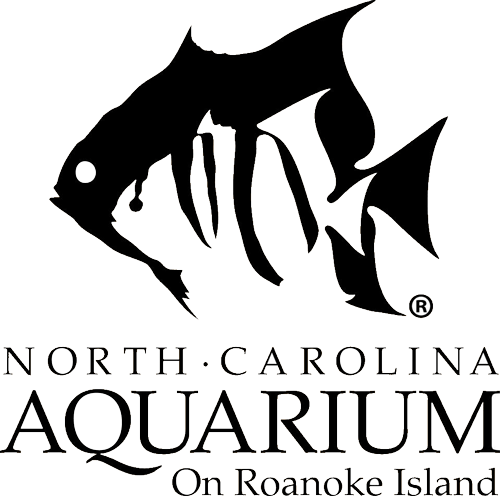 Join the N.C. Aquarium Society…and enjoy unlimited FREE admission! Handicap Accessibility: Site is fully accessible. Nearest Major Town/City: Manteo, N.C. Call for information about our Fee Programs featured daily for the entire family to enjoy!